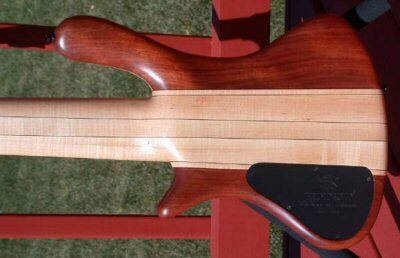 Another new arrival from Jerzy, a 24 fret Mastery fretted 6. 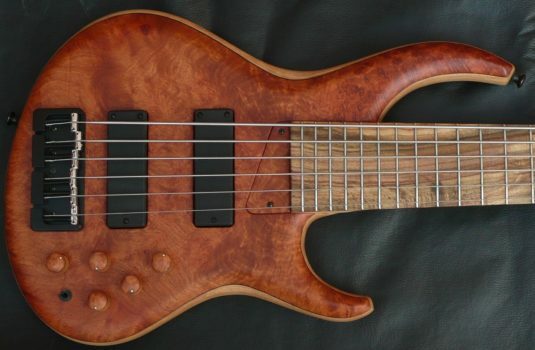 Jerzy’s 6s and 7s are among the most effortless multi-string basses I have ever encountered. The width of the neck is very comfortable ( not at all tight ) . The shallow depth of the neck is the secret. 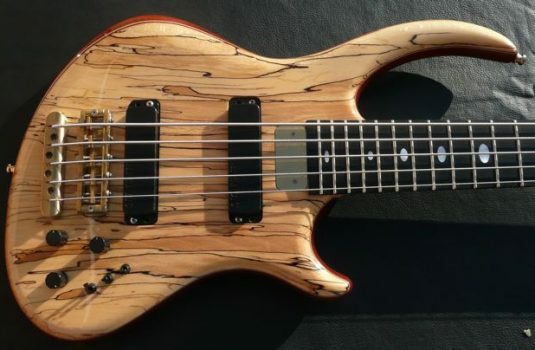 On this 35″ scale bass, the body wood is Etimoe, the top is a beautifully blonde Birch Burl. 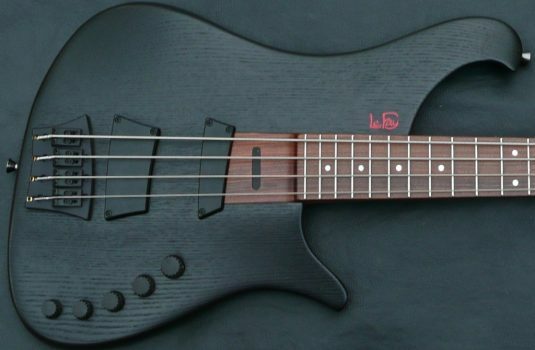 5 piece Maple/Wenge neck with Ebony fretboard. 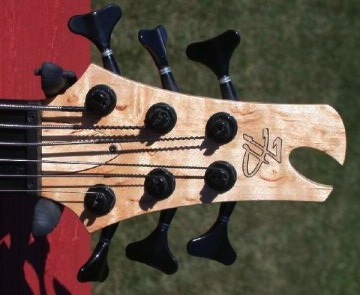 The pickups are Jerzy’s new proprietary design , covered in Rosewood with matching Rosewood control knobs. 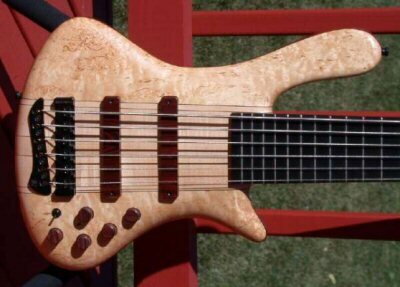 The preamp is the Aguilar 3 band.